Are you researching possibly doing business with JFC Electronic Components Ltd in Singapore who sells Capacitor? If so, you may want to read the below review of the experience of one buyer and their recommendation to consider when dealing with this company. 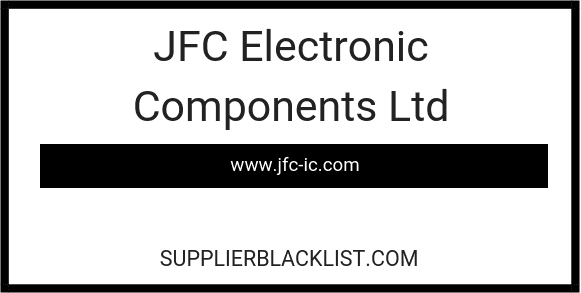 You can also find more searching options to learn more about JFC Electronic Components Ltd in Singapore on Supplier Blacklist and across the web. We got to know JFC through their promotional emails. After several successful orders placed with JFC we placed an order for Kemet capacitor and made a full payment of USD15,200 for this, then several days before shipment was due to be made (December 2018) we were advised that the parts were not available. JFC (Carol, no surname would ever be given, Chinese ethnic in Singapore) suggested us to order an equivalent product of Vishay to replace the Kemet parts. Since we urgently needed these capacitors, we agreed with her suggestion. Two weeks later, we received the parts. But we found that the parts were fake! The last production of this item was in year 2017, however, the item delivered by JFC was produced in year 2018. We verified the authenticity of the Lot-number with the original manufacturer Vishay. Vishay has never produced this batch of goods. The Lot-number on the label is fake as well! After multiple back and forth of emails, JFC refused to accept that the parts are counterfeit. So we handed the parts to a third-party testing house for testing. The test report is the same as we expected, and it proves that the parts have quality problems and cannot be used at all. We sent the test report to JFC, they insisted on the authenticity of the parts. Since then, we stopped placing any new orders with them. We have been continuously receiving customer complaints afterwards. Many of the parts that JFC sold to us were counterfeits. We tried to contact them, but they didn’t reply to our email at all. We managed to call them to negotiate, however, they don’t answer their phone. Carol, their saleswoman, is very friendly. Whenever we encounter quality problems, she is very good at comforting us and always propose to use credit note to solve the problems in order to encourage us to place more orders for the amount in credit. JFC is a professional fraud amongst the trading companies of electronics components. At first, they attracted customers with very favorable prices and used the successful transactions in the previous period to win the trust of customers. Then they will seize the opportunity to persuade customers to accept the credit note for the parts that they are not able to deliver after receiving the full payment. 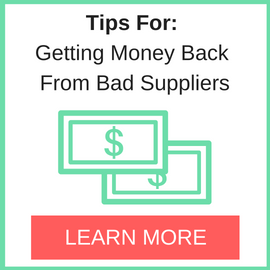 In order to use up the amount in credit, customers have no choice but to place more orders with them. 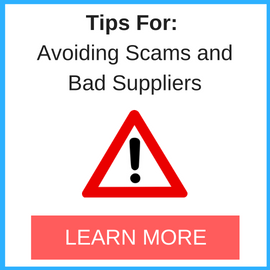 They supply counterfeit parts at the end to cheat their customers and make big profit through this trick. Need More Info on JFC Electronic Components Ltd in Singapore? If you need more information, you can click the below links to search for more submissions about JFC Electronic Components Ltd in Singapore on Supplier Blacklist as well as go to the search results page on Google for more reviews online about this company. Perform a Supplier Blacklist search for more reviews on JFC Electronic Components Ltd in Singapore. Search Google for JFC Electronic Components Ltd in Singapore Reviews.